Brunn, 1816. 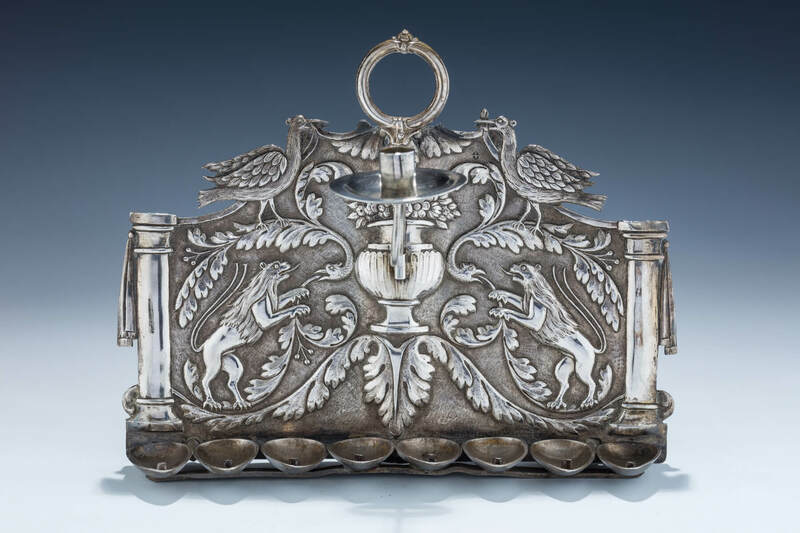 The backplate chased with two lions flanking a blooming urn. Further decorated with two winged birds each holding up a border. With original servant lamp. Early losses and repairs. Marked. 9.3” wide.